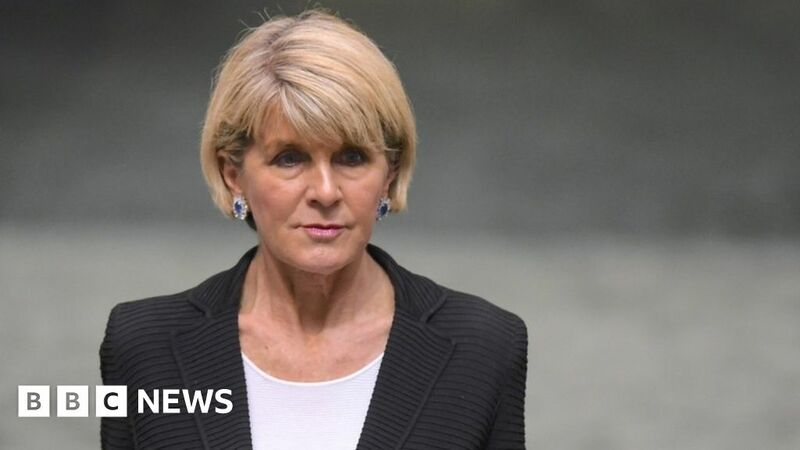 Australian Foreign Minister Julie Bishop has announced her resignation from the Cabinet. Their move came when new Prime Minister Scott Morrison was preparing to announce his new Cabinet after winning a leadership ratings contest on Friday. 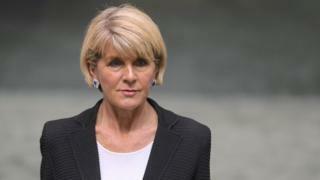 She had been looking for the post of Prime Minister after Malcolm Turnbull stood aside but was eliminated in the first round. The 62-year-old from Western Australia has been federal politician for two decades. "I will stay on the bench as a strong voice for Western Australia," she said. Last week's leadership crisis arose after Mr Turnbull was under pressure from poor election results and what he called a "revolt" by Conservative MPs. The liberal-national coalition government has only a single – seat majority in parliament, and Labor is ahead in opinion polls, with a poll that will take place sometime before May 2019. Peter Dutton, a conservative and former Home Secretary, had Turnbull unsuccessfully challenged on Tuesday, but his narrow defeat only caused further dissonance. Mr. Morrison, the treasurer, entered the race later in the week after Mr. Turnbull lost key players. He won the second round of the internal Friday The Liberal Party's vote at 45-40 over Mr Dutton – who had been Mr Turnbull's loudest threat. Mrs. Bishop retired in a first ballot. Before reporters following the vote on Friday, Mr. Morrison said he would work to "reunite our party that was smashed and smashed week" and bring the land together. He also said that dealing with a severe drought that hit parts of eastern Australia was "our most urgent and urgent need." The past decade has been marked by a series of coups, in which three other prime ministers were deposed by party members. No leader has recently been able to serve a full term as prime minister, in part because elections are so often – every three years – two years less than in the UK. So in recent years Prime Minister in the polls unpopular – or with their colleagues – were quickly sacrificed from within. Dave Sharma, a former Australian diplomat, says: "Election is always imminent, meaning Members of Parliament are always focused on the survival of their choice – and less in the national interest." In the Sydney Morning Herald, Mr. Sharma writes: "The steady decline in opinion polls and the relentless media cycle are exacerbating bitterness of myopia"
Under the Australian system, as in the UK, the prime minister is not direct elected by voters, but is the leader of the party or coalition, which can dominate a majority in parliament.